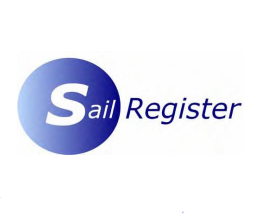 This is a user editable database of Streaker dinghies. Please only enter information that you are happy to have displayed. The list can be sorted according to the columns; click on the column headings. Please help to keep the Boat List up-to-date. Owners can add new/second-hand boats to the list; to update or correct existing boat information, please send info to the Class Secretary. 2105 2018 Boatyard at Beer Bob Towler Beaver S.C.
1967 2016 Butler Andrew Hague Ripon S.C.
1957 Boatyard at Beer Debbie Degge Bartley S.C.
1891 2014 Butler Boats Gaby Perry Ely S.C.
1826 2012 Rooster Marcus Ingram Up River Y.C. 1800 2012 Butler Boats / P&B Nigel Platt Rossendale Valley S.C.
1785 2011 Rooster Brian Garvey Royal Windermere Y.C. 1697 2009 Rooster Peter Collier Bartley S.C.
1554 Butler Bob Towler Beaver S.C.
1204 Oliver Whitling Alnmouth S.C.